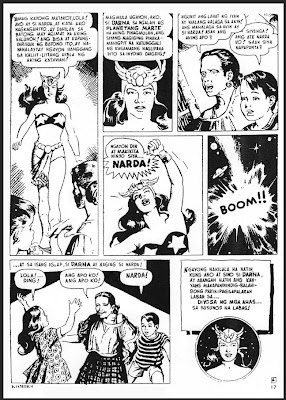 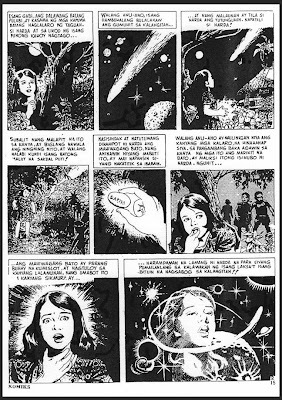 What and how was it like reading Darna the first time it appeared in the market in 1950? 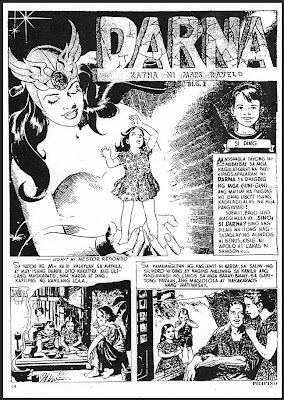 Readers that time intensely and eagerly followed the exploits of this new superhero. 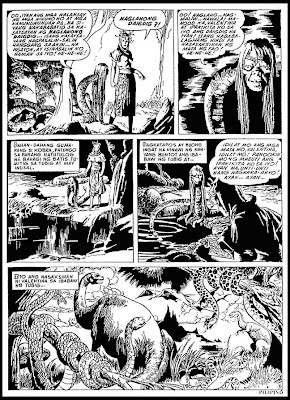 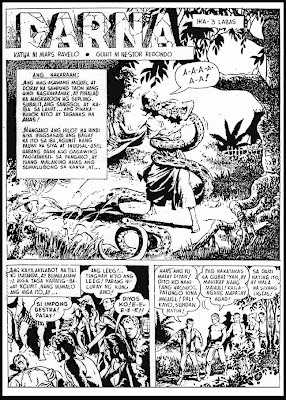 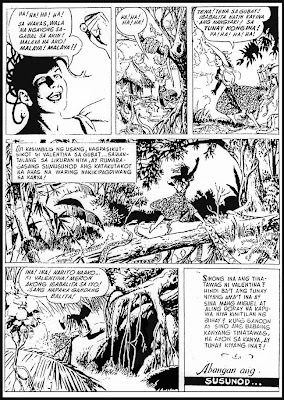 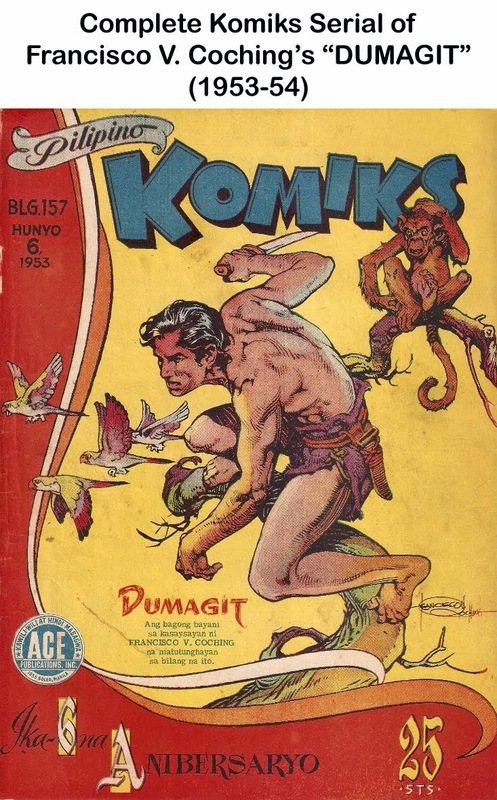 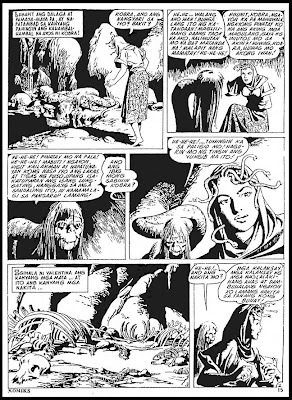 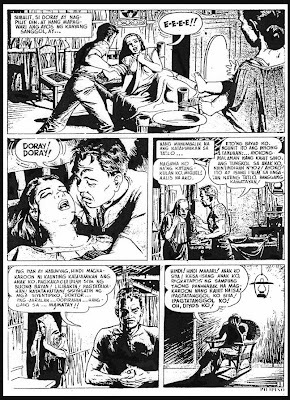 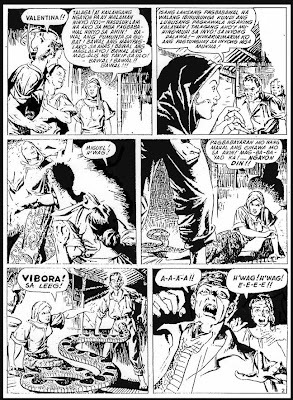 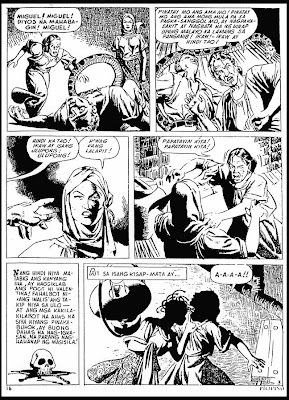 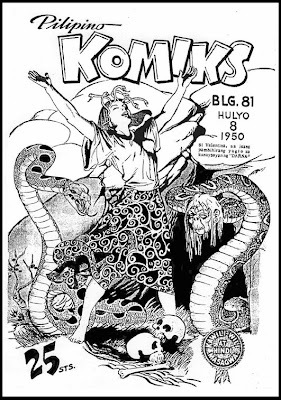 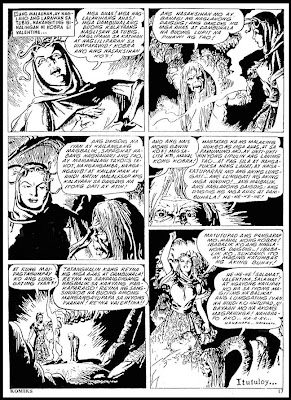 The komik serial, created by the great Mars Ravelo ran for 28 issues and those issues were vividly and expertly illustrated and executed by Nestor Redondo. 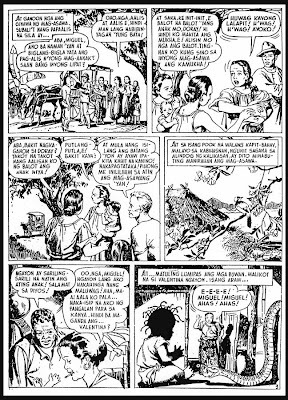 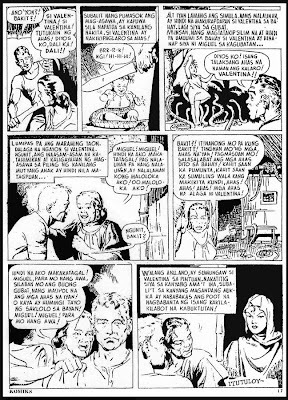 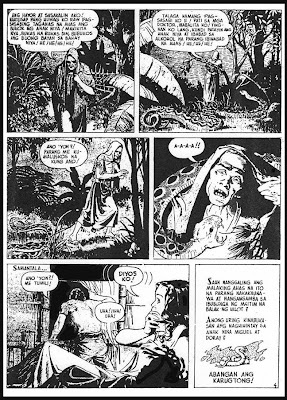 From the pages of Pilipino Komiks, come and let us revisit and experience this highly successful komiks novel. 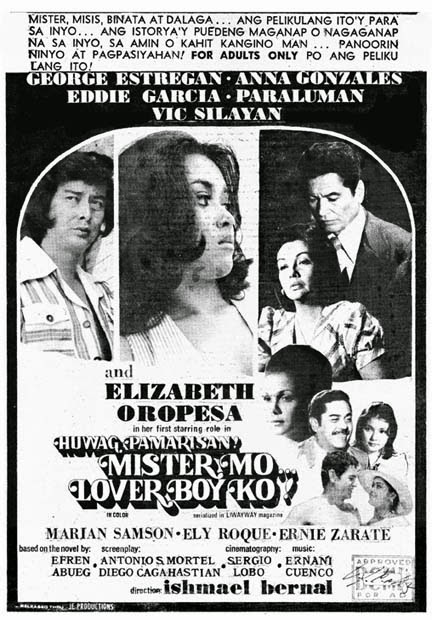 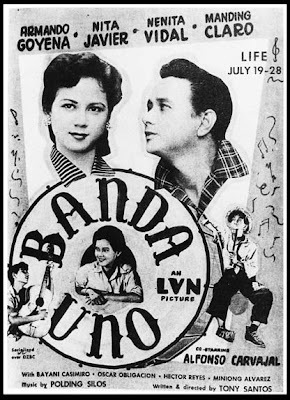 LVN Pictures produced some of our top and popular love teams in Philippine cinema--- Mario Montenegro and Delia Razon, Nestor de Villa and Nida Blanca and Armando Goyena and Tessie Quintana. 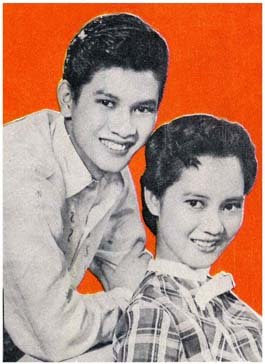 Those who grew up in the 50s will somehow remember the names of these two young stars--- Nenita Vidal and Manding Claro. 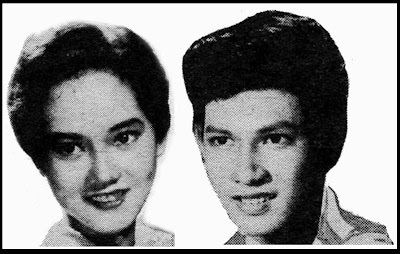 The two were in their teens when they were tapped and groomed to be the next love pair in Philippine movies. 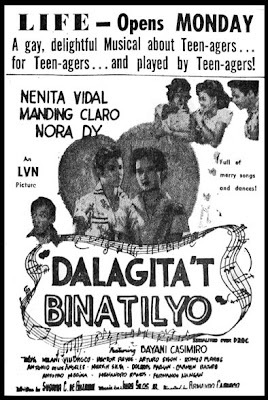 They made their first appearances in Tin-edyer, a Nida-Nestor starrer in 1954, Dalagita’t Binatilyo and Banda Uno, both in 1955. 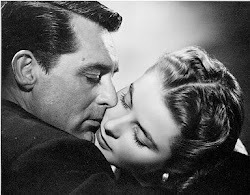 But it was in 1956, in the movie, Puppy Love, that they were given their biggest break. 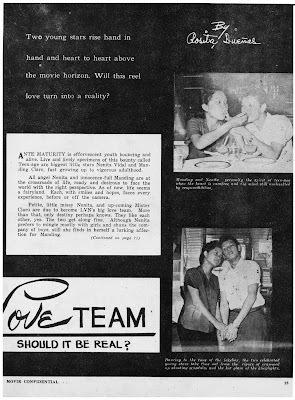 Their strong chemistry as a love team plus good support from their mother studio propelled them to the top. 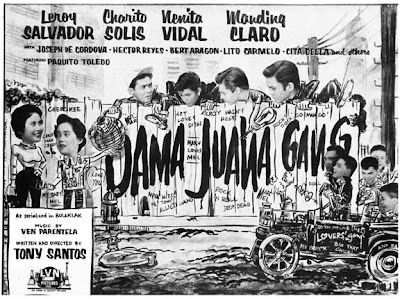 More movie projects came afterwards--- Dama Juana Gang (1956), Troop 11 (1957), Phone Pal (1957), and Lelong Mong Panot (1957). 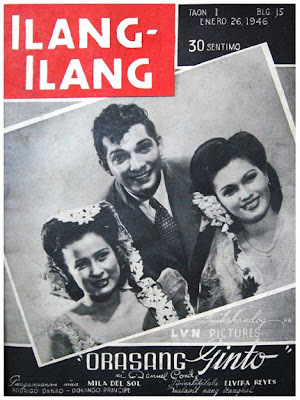 Lilian Velez (March 3, 1924- June 26, 1948), a popular movie star in the 40s, first came into the limelight when she won an amateur radio singing contest in the mid 30s. 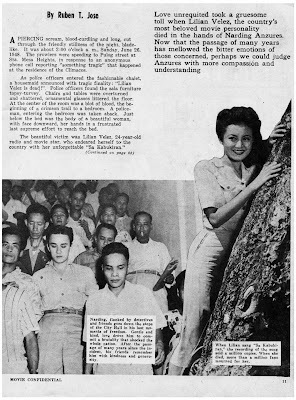 Prior to the outbreak of World War II, her singing career thrived, and she popularized one of her father's songs, Sa Kabukiran. 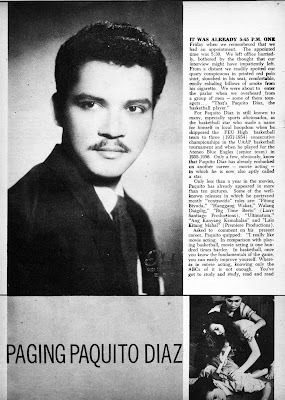 Velez also won the heart of Jose 'Joe' Climaco, the radio station manager which had sponsored the contest. 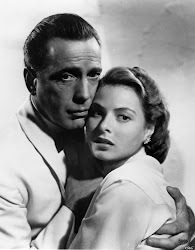 They were soon married in 1942 and had one daughter, Vivian. 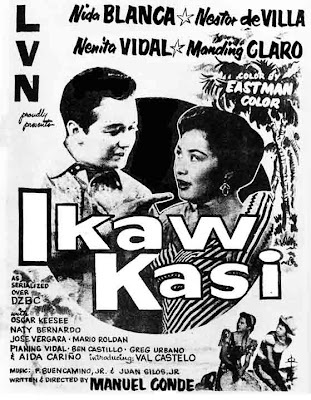 After the war, Velez resumed her acting career. 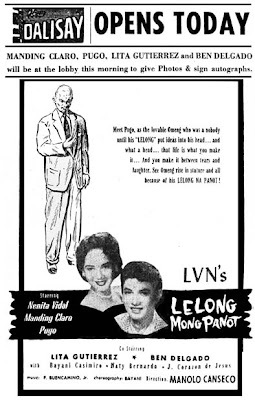 She joined LVN Pictures, and with her husband as director, starred in such films as G.I. 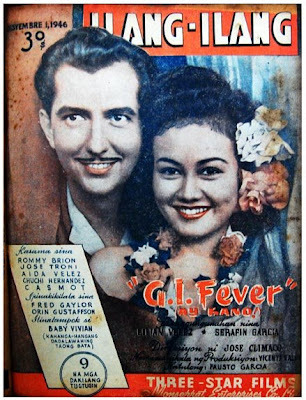 Fever, Binibiro Lamang Kita, Ang Estudyante, and Sa Kabukiran, inspired by the song that had earlier earned her fame. 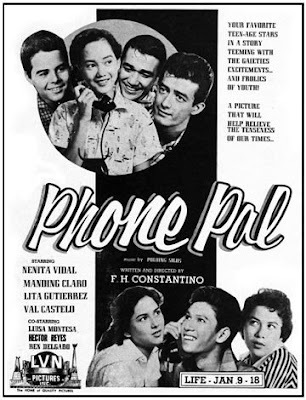 Her leading man in some of these films was Bernardo “Narding” Anzures, a former child actor, and son of actor Miguel Anzures and actress Rosa Aguirre. 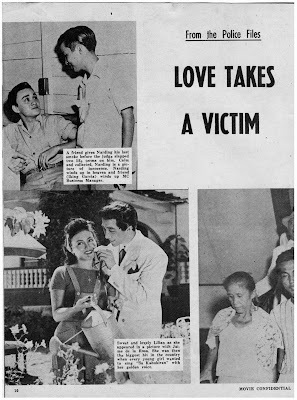 After the success of Sa Kabukiran, LVN Pictures decided to cast Jaime de la Rosa as Velez's leading man in her next film. 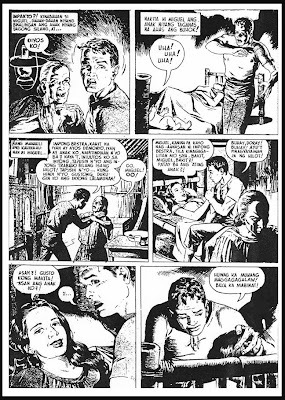 The decision caused distress on the part of Anzures, who had seemingly become obsessed with the married Velez. 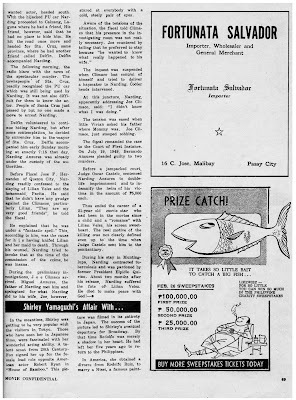 On the night of June 26, 1948, Anzures paid an unexpected visit to the Quezon City home of Velez. 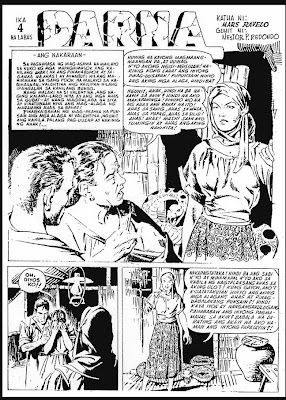 Upon his arrival, he stabbed Velez to death and a housemaid who had come to her mistress's assistance. 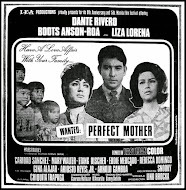 The crime was committed within view of Velez's toddler-daughter, who was unharmed during the incident. 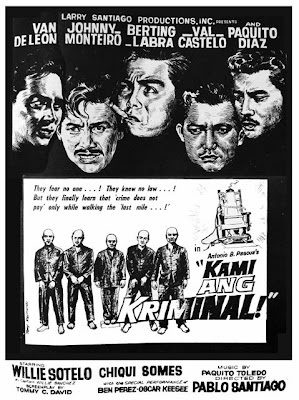 Anzures was promptly arrested, tried and convicted for the murders. 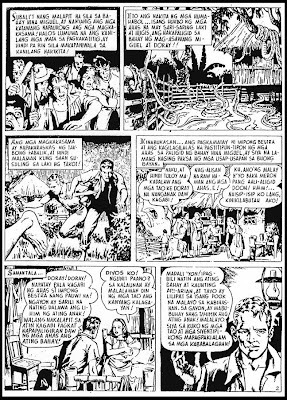 During his stay in Muntinglupa, Narding contracted tuberculosis and was later pardoned by then President Elpidio Quirino. 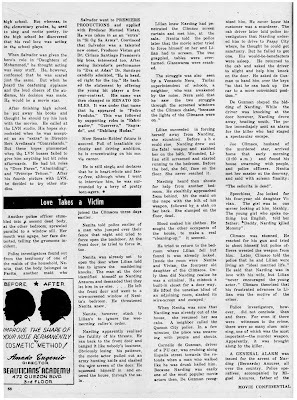 About two months after his release, he died; his exact motives for the murder were never fully determined. 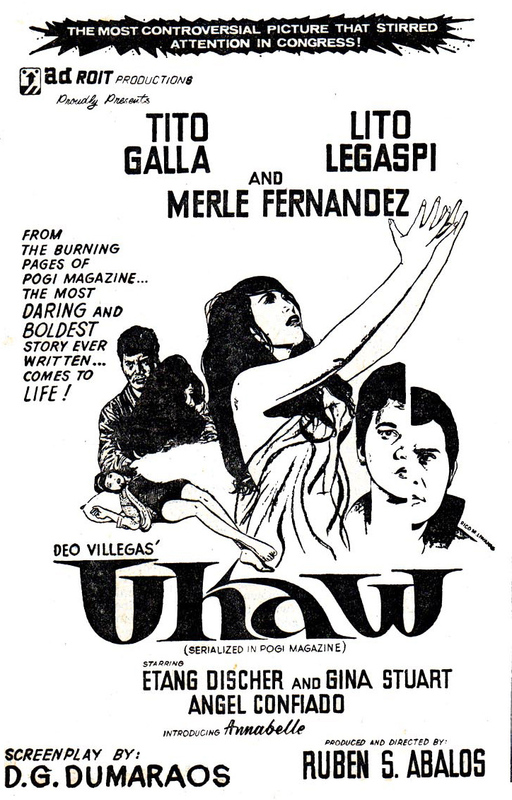 In 1995, the murder of Lilian Velez was the subject of a controversial film directed by Carlo J. Caparas. 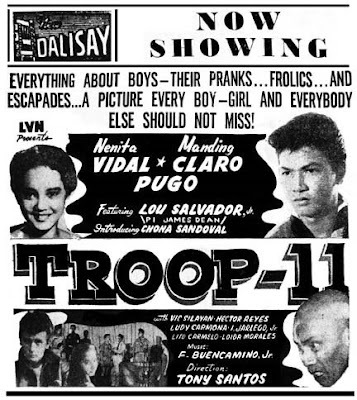 Topbilled by Sharon Cuneta as Velez and Cesar Montano as Anzures, the film was one of the series of true-to-life, crime and massacre films produced and directed by Caparas in the early 90s. 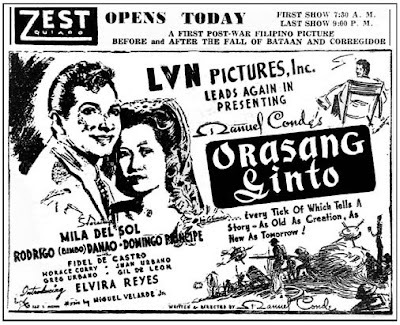 LVN Pictures’ Orasang Ginto, directed by Manuel Conde, was the first Post-war Filipino movie or the first movie to come out after World War II. 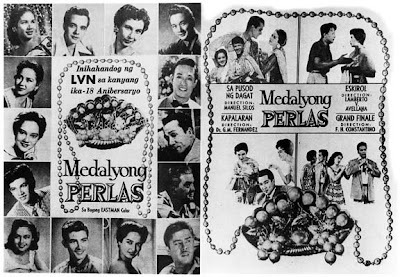 The movie, based on the story by Dona Aurora Quezon, tells of the Filipinos’ tragedies and miseries during and after the war. 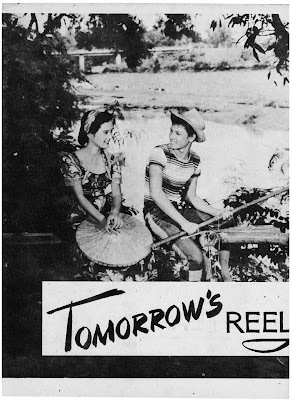 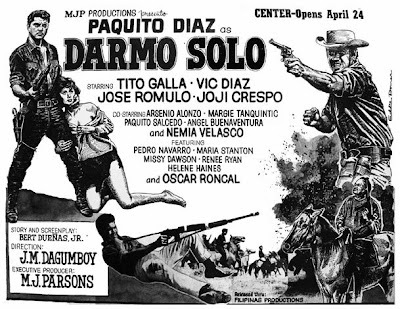 It starred Mila Del Sol, Elvira Reyes and Rodrigo ‘Bimbo’ Danao and was shown on March 4 to 13, 1946 at Zest Theater. 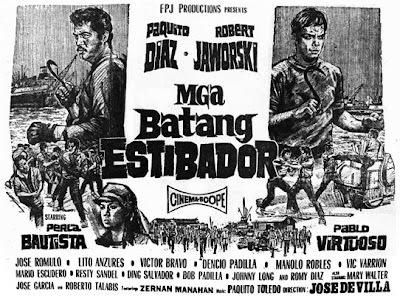 Trivia: Director Manuel Conde, who was then still a regular major in the Armed Forces of the Philippines, used, without permission from his superiors, an entire battalion for the war scenes in the movie. 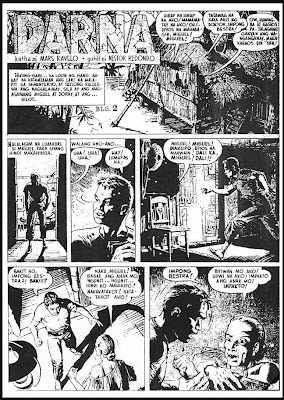 For this, he was almost got court-martialed. 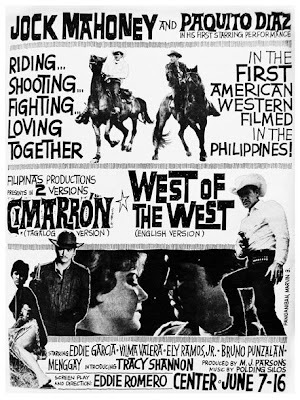 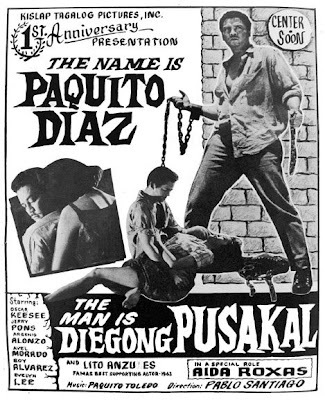 Malayan Movies’ Dalagang Bukid, directed by Jose Nepomuceno, was the first Tagalog feature film. 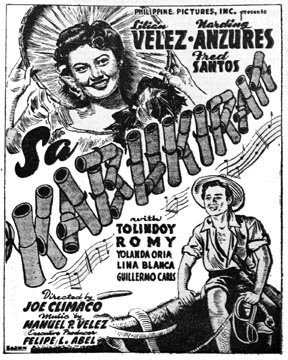 Based on dramatist Hermogenes Ilagan’s popular zarzuela, the movie starred Honorata “Atang” De La Rama and Marceliano Ilagan. 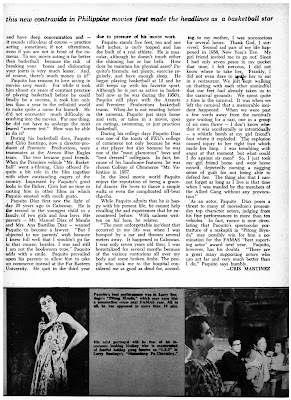 It started its exhibition run on September 25, 1919 at the Empire Theater. 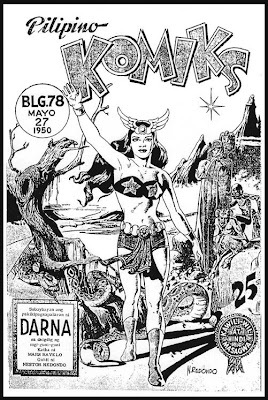 Atang de la Rama (1902-1991), Honorata de la Rama in real life, was born in Manila on January 11, 1902. 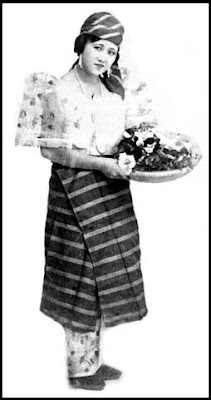 At an early age, young Atang, raised in a very musical atmosphere, was already starring in zarzuelas such as Mascota, Sueño de un Vals, and Marina. 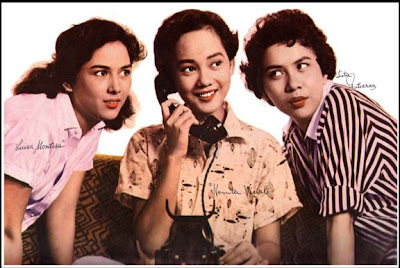 At the age of 15, she starred in the zarszuela Dalagang Bukid, where she became known for the singing the song, Nabasag na Banga. 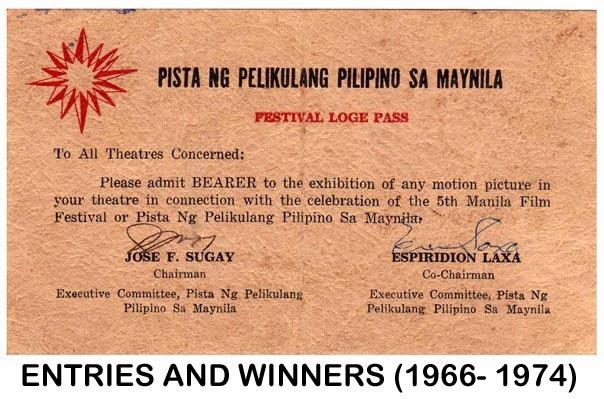 Dalagang Bukid packed theaters to the rafters wherever it was shown. 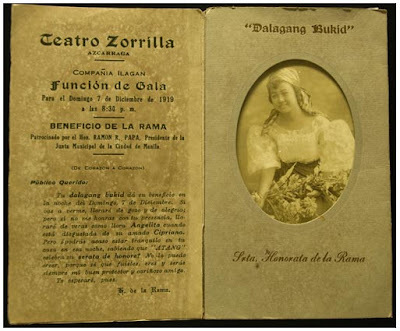 Director Jose Nepomuceno adapted the stage hit to the silent, black-and-white screen in 1919. 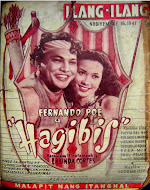 The pioneering moviemaker bought the entire show (whole package)--- Hermogenes Ilagan’s libretto, Leon Ignacio’s music (including Nabasag na Banga, the most popular song in the play’s repertoire), male lead Marcelino Ilagan and of course the sensational Atang de la Rama and her balintawak, costume, wooden clogs, banga, prop and all. 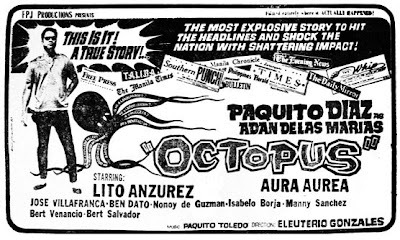 The movie premiered on September 12, 1919, a significant date in the history of Filipino moving pictures. 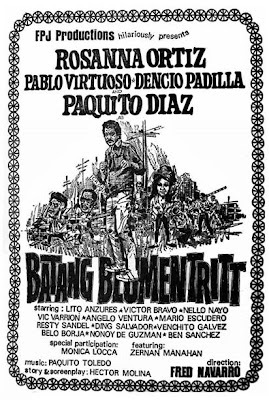 And because Nepomuceno’s initial venture was a success, he made a sequel entitled La Venganza de Don Silvestre with both Atang de la Rama and Marcelino Ilagan reunited in the lead roles, which was released the following year, in 1920. 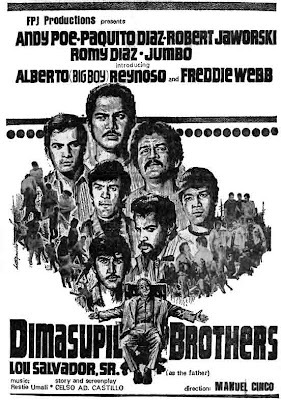 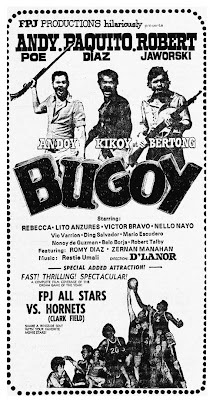 Paquito Diaz (b.May 28, 1932), Francisco Bustillos Diaz in real life, was a popular basketball star during his pre-acting years playing for the FEU in his high school days and Ateneo during his collegiate years. 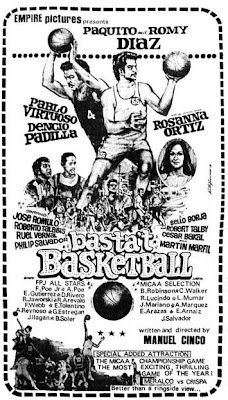 He was discovered by Cirio H. Santiago, a friend and teammate, into the movies and was offered a bit role in the movie, Mr. Basketball (1958). 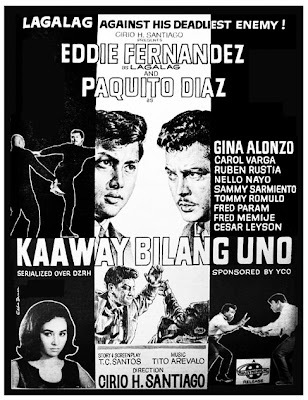 Diaz has that x-factor that sets him apart from other character actors during his time. 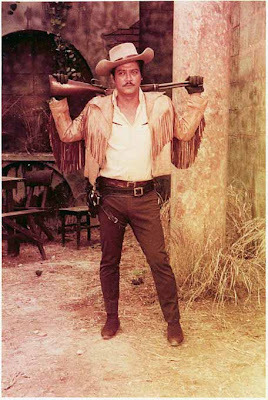 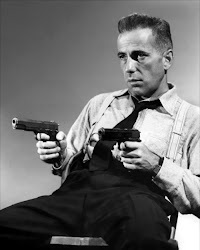 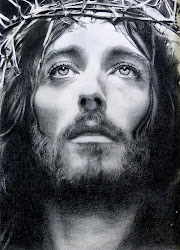 His mean, daunting and intimidating looks are some of the traits he had to last him five decades in the industry. 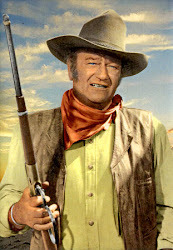 There were some points in his illustrious movie career that he was tapped to do lead roles.